Corporate governance (CG) generally refers to the system of rules, practices and processes by which a company is directed and controlled. All enterprises, corporate or not and regardless of size, can benefit from a well-structured system of management and control, which is the basis of good governance. It is with this premise in mind that the Private Sector Organisation of Jamaica (PSOJ) published a Corporate Governance Code for Micro, Small or Medium-Sized Enterprises, (MSMEs) in February of this year. Many have come to realise that our economic growth as a nation is collectively impacted by the success of MSMEs. These may be defined as business entities having between 1 and 50 employees and/or an annual turnover of less than $150,000,000. MSMEs may include sole proprietorships, unincorporated partnerships, enterprises owned and operated by family members or otherwise connected parties, medium-sized enterprises with few shareholders, larger medium-sized private or public enterprises or companies listed on the Junior Market of the Jamaica Stock Exchange (JSE). This new CG Code is structured to suit each one of the aforementioned MSMEs and is the first of its kind in the region. Some MSMEs may only be able to implement aspects of the Code having regard to the particular structure, scale, available resources, scope of services or product offerings of the MSME. However, each MSME should seek to be guided by the underlying principles of the CG Code and adopt the guidelines, as appropriate, to effectively manage and control their enterprises. The CG Code is broken down into seven chapters under the following headings: Governance Policies and Procedures, Board of Directors/Advisors, Transparency and Shareholder Relations, Control Environment, Stakeholder Relations, Family Business Governance and Listing on the JSE Junior Market. Under “Corporate Governance Policies and Procedures”, MSMEs are encouraged in the Code to clearly define roles and qualifications for members of management, advisory boards and board members and to institute clear procedures for decision making. The CG Code acknowledges that many MSMEs may not have formal boards or shareholders, but it encourages such entities to form advisory boards, comprised of external service providers, such as accountants, financial consultants and tax specialists. The advisory boards would assist the enterprise in critical policy and decision-making matters. For enterprises with boards of directors, the CG Code reinforces the provisions of the Companies Act, specifically those that relate to the duty of care owed by directors to the company. The Code recommends that the board should have an appropriate balance of skills, experience, independence and knowledge. It is also stated as a best practice that the board should appoint independent non-executive directors in accordance with the board’s size and the nature of the company’s operations. Independent non-executive directors would have no management or executive functions and would have no material financial or other conflicting interests in the organisation. This would allow for unbiased and independent fulfilment of duties. The Code recommends that 1/3 of the board be made up of independent non-executive directors. In the same vein, the Code suggests that in larger enterprises, the positions of Chief Executive Officer and Chairman not be held by the same person, so as to have a clear distinction between responsibility for setting corporate policy and the management of the operations of the enterprise. Of note, the Code also recommends that the board carry out annual performance evaluations to assess the performance of individual directors. This evaluation may take the form of a self-assessment, handled internally, in smaller enterprises. Where practical, training should also be made available to the directors to ensure that they are knowledgeable about the industry in which the MSME operates. The Code also recommends that each board member be given a job description and letter of appointment that outlines their roles and duties as board members. As an attorney, I can attest to the benefits of providing this documentation, as it can be of tremendous value to the enterprise when disputes arise with a board member. With respect to “Transparency and Shareholder Relations”, MSMEs are encouraged to adopt procedures for transparency in their operations and for the disclosure of material information regarding the enterprise. The Code stipulates that there should be timely disclosure of material information regarding the enterprise, including the financial position, performance, ownership and governance of the company. The Code does not define “material information” but states that the circulation of an annual report and auditor’s report would be effective in this regard. Under the heading “Control Environment” the CG Code encourages enterprises to establish and maintain effective internal controls through the maintenance of credible books of accounts and the regular presentation of financial statements. To this end, the CG Code recommends that all enterprises engage independent auditors. The preparation of financial statements by an auditor allows shareholders and investors to obtain a fair view of the entity’s financial position, which is essential for building and maintaining investor confidence. The auditor would also report on certain legal and regulatory requirements as applicable. The Code recommends that auditors should not audit their own work. Accordingly, the MSME should have policies in place that exclude the independent auditor from otherwise undertaking work for the enterprise. The engagement of an internal auditor is also recommended. In terms of risk management, each enterprise should be aware of the laws and regulations with which it must comply, and should adopt appropriate compliance procedures. It should have a basic understanding of the risks it faces and put in place polices to manage same. These risks would include not just financial and regulatory risks, but matters such as health and safety requirements, human resources, IT security and corporate reputation. Stakeholders include employees, customers, suppliers, creditors, regulators, the community and environments. The CG Code emphasises the importance of “Stakeholders Relations” and steps should be taken to communicate effectively with all stakeholders and to understand their issues and concerns. In terms of employees, MSMEs must be aware of their legal obligations and employee rights and it is recommended that a Code of Ethics that reflects the nature of the business, its vision, objectives and values be put in place. MSMEs should also ensure that board members, members of management teams and employees alike understand their responsibilities and appropriate behaviours, and training in this regard is recommended. A significant number of the businesses within the Caribbean are family-run enterprises. The CG Cod especifically addresses “Family Business Governance”.The Code acknowledges that the greatest challenges that these businesses face are separating the personal or familial issues such as sibling rivalry, nepotism, emotional issues and so forth from the business, and putting in place mechanisms to ensure a smooth succession in ownership and management. The Code thus recommends that the vision of the company and policies regulating the family’s relationship with the enterprise should be laid out in a “Family Constitution”.There should also be clear policies and procedures for employing family members. A succession plan should also be developed to ensure that there is a suitable leader, who is well trained and willing to take over leadership from one generation to the next. As is the case with larger business entities, good corporate governance can play a key role in the success of MSMEs. Those that adopt good CG practices generally achieve a higher level of sustainability and better financial performance. Such MSMEs tend also to have better access to financial opportunities, are viewed more favourably by lenders and financial institutions, and would be better positioned to list on the Junior Market of the JSE, the requirements of which are also summarised in the Code. The potential growth of MSMEs into major enterprises will also be more readily achievable with the adoption of sound CG principles. Compliance with the CG Code as promulgated by the PSOJ is not mandatory, but all MSMEs should look to this Code to see how it can be adapted to enhance accountability, efficiency and transparency within the MSME. 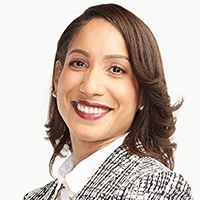 Simone Bowie Jones is a Partner at Myers, Fletcher & Gordon and a member of the firm’s Commercial Department. Simone may be contacted via simone.bowie@mfg.com.jm or myersfletcher.com.This article is for general information purposes only and does not constitute legal advice.